The Anti-possession symbol will protect the wearer from possession by a demon. Following Sam's possession by Meg in 2.14 Born Under a Bad Sign, Bobby gives Sam and Dean each a charm amulet with the symbol. Later 3.12 Jus in Bello, the boys reveal that they have had these symbols tattooed on their chests. 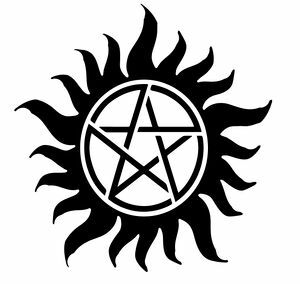 Other people with the anti-possession tattoo include Kevin Tran and his mother Linda Tran, Jack and Mary Winchester. In 5.02 Good God, Y'All, Ellen reveals that Jo wears an anti-possession charm.